DSAG Annual Conference 2014 in Leipzig – visit us there! There is no better time to show your appreciation than around the holidays. Under the parent company of Pentland Firth, we would like to thank each and every one of our supporters for their support this year. Without valuable clients and customers such as yourselves, there would be no IT consulting, Sweetlets SAP Portal apps and no Mereko, the latest way to reimburse your travel expenses. It really is as simple as that. Due to the wide variety of gift acceptance policies at the companies of our clients, we have decided to take this opportunity and directly help those in need this Christmas. Pentland Firth has cheerfully and with joy, donated to the Brotzeit für Kinder in place of sending gifts. From all of us here at Pentland Firth, Sweetlets and MEREKO, warmest thoughts and best wishes for the holidays and in the New Year. The Brotzeit Association is a nonprofit organization which provides for all kids, a “bread-breakfast.” A simple but balanced breakfast with milk, cereal, fruit, bread, sausage, cheese, jam, organized and prepared by “active seniors” in cooperation with the school administration. Many parents do not take the time and more for their children. The end result … the children suffer. Therefore, Brotzeit für Kinder’s solution – give time. Last week, the Sweetlets team went to the German SAP User Group Annual Conference (DSAG Jahreskongress) in Leipzig, Germany, along with nearly 4000 visitors. 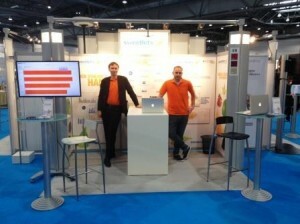 At the Sweetlets booth, visitors could see demonstrations of Click Stream in the cloud and on HANA, as well as other portal tools from the Sweetlets product range. It was great opportunity to catch up with our Sweetlets customers, who made an extra effort to stop by and see us – it is always an honor for us, as well as a confirmation of the quality of our products. Of course, in talking with partners and customers, attending presentations and visiting workshops, we were able to get a good overview of SAP trends and how businesses are responding to or adopting them. The topic at large for this year’s conference focused on customer and end-user needs and, on a larger scale, how companies cope with the continual stream of innovative new technologies, such as cloud and the HANA platform. The keynote speakers, Marco Lenck (DSAG Chairman) and Bernd Leukert (member of the Executive Board and the Global Managing Board of SAP), both addressed this issue. Do SAP customers readily adopt these new developments in their own infrastructure, or do they tend to be reluctant? While the SAP HANA platform and SAP HANA Cloud Portal have been steadily establishing themselves in the SAP community, SAP has been growing its cloud portfolio with acquisitions of companies like SuccessFactors, specializing in cloud-based human capital management (HCM) solutions, and Hybris, experts in cloud-based and on-premise e-commerce technology. 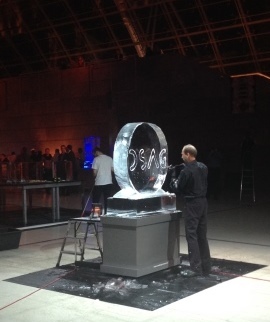 DSAG decided it was time to check in with SAP customers to see what they thought of these new innovations and developments. In a survey carried out by the DSAG a few months ago, responses revealed a cautious optimism – businesses are intrigued by new technology but do not want to jump immediately on the bandwagon for each new development, only to discover that it was merely a trend. They prefer to assess what their organizations really need and want to be able to pick and choose the solutions to meet their needs. In talking with our customers, the Sweetlets team sensed that businesses were, at best, undecided about adopting the new technology for their organizations, but they were at least willing to try out hybrid solutions, where, for example, a large portion of the ERP system would remain in place and on-premise, while specific functions would be deployed to the cloud. This idea of going hybrid reflected the response to the DSAG survey – companies are cautious about actually implementing new innovations and prefer to try them out on a smaller scale first. Even on the trade show floor, the Sweetlets team could see that among the companies represented, among all the organizations on top of the latest developments, there were still plenty of businesses offering services for R/2 and R/3. Apparently, there is still demand for expertise in this area, if not to maintain existing systems, then to develop interfaces from the older systems to newer systems. Part of the hesitation to move to newer systems or platforms like HANA or ERP on the cloud has to do with questions of security. We went to a session on SAP Enterprise Threat Detection v 1.0 and SAP is obviously trying to address these concerns. 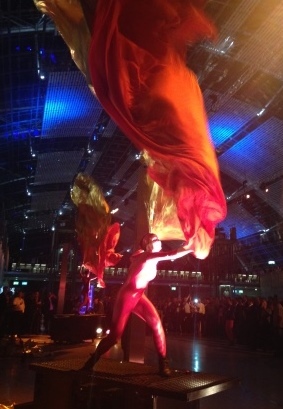 After two days of intense talks and presentations, visitors had the chance to network and chill out during the last evening’s event, where fire met ice, literally. You could watch artists create ice sculptures, and even try it out yourself. In a separate area, a group of performance artists captured the flow and flickering of wind and fire with their dramatically long scarves. 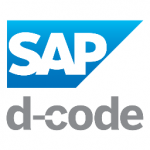 The German SAP User Group will once again open its annual conference (DSAG Jahreskongress 2014) next week – this year in Leipzig, Germany. Customers are the focus of this year’s conference, with the main theme being “Customer First – in search of future directions and sustainability”. Visit our Sweetlets booth E8 to view live demos and find out what’s new in the world of Sweetlets, such as Click Stream in the cloud and on SAP HANA. You can also talk to us about your individual projects – as certified SAP Gold Partner and HANA experts, we are happy to offer you assistance. Did you know: Sweetlets was one of the first SAP partners in the world to receive SAP HANA certification for our product Click Stream. You can also call Melinda Belényi at: +49 89 59 08 37 26. Last week, the Sweetlets team flew to Orlando, Florida, to participate once again in the SAPPHIRE Now + ASUG annual conference. 25,000 participants were there this year, but nevertheless, clients and acquaintances spotted us immediately in the inimitable Sweetlets-orange shirts, and it was great to see them once again in person. SAPPHIRE NOW 2014 in itself was, as ever, interesting and informative, and a great way to learn about the goings-on in the world of SAP. The buzzword at this SAPPHIRE NOW event was simplify. 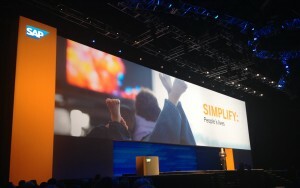 It was the common theme running through many keynotes and presentations, including the keynote from Bill McDermott (title: “Simplify Everything. Do Anything”), which set the tone. And related to simplicity: creating an intuitive and comfortable user experience. You might already guess what some of the specific, related catchwords were: SAP Fiori, SAPUI5, SAP HANA, cloud. Sweetlets client Scotts Miracle Gro also gave a presentation along these lines, talking about their experience with simplifying architecture while expanding capabilities on HANA. Interesting about SAP Fiori is that the package is offered free for existing SAP R/3 users, is platform-independent and enables the development of applications for multiple types of devices – to make it simple for end users and their devices and technical landscapes of choice. While SAP HANA remains a central focus of the company, we met with our SAP Portal friends Aviad Rivlin and Shani Limor (part of the portal development team in Israel) to find about the latest portal developments. Particularly interesting for us was to hear about HANA Cloud Portal and the idea of creating business packages for this platform. A special keynote to kick of the event was given by Captain Chelsey Sullenberger (yes, the airline captain who made a spectacular emergency landing on the Hudson River in 2009, saving the lives of 155 passengers), who held a motivational talk about the difference you can make to the people in your team. It was a great way to close the event. With the various SAP NetWeaver Portal analytics products on the market, comparing and selecting the best tool that fits your company requirements can be an overwhelming and daunting task. Easy to read reports, secure data storage, proxies, caches and just the sheer setup and implementation costs are only a few of the questions that you need answers to. to make an appointment or get details. Meeting for the SAP Solution Manager working group, hosted by the German SAP User Group (DSAG). Meeting details TBA. 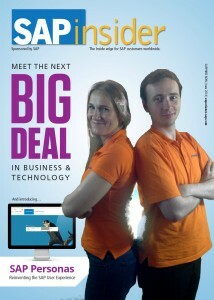 A special event addressing HANA technology, which takes place within the conference hosted by the magazine SAPinsider. 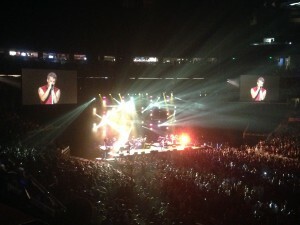 Annual event hosted by the Americas’ SAP User’s Group. This year, the keynote will be held by Bill McDermott, Co-CEO of SAP, who will become the lone CEO in May 2014. Sweetlets will be touring the USA after the SAPPHIRE NOW + ASUG Annual Conference in Orlando with live product demos, addressing any specific questions you have. Please contact us at for details and to make an appointment. 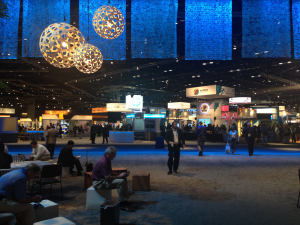 This event builds on the SAP TechEd foundation, expanding its concept to address those who are new to SAP. Details and website to come. System Messenger and Wieland Electric describes their experience with BW Tree in two new success stories. At a German SAP user group workshop, EADS gave a talk that included Click Stream’s role in creating a successful portal. Click Stream officially powered by HANA – Early in 2013, SAP gave Click Stream its stamp of approval for HANA technology, an achievement we are proud of. Sweetlets a finalist in SAP Pinnacle Award – Sweetlets was one of 5 SAP partners who were finalists for the Pinnacle Award category Run Together – Database and Technology / HANA Application Innovator of the Year. 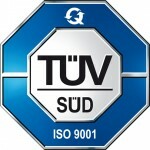 Pentland Firth ISO certified -Pentland Firth Software GmbH, the company behind the Sweetlets brand, was granted ISO 9001 certification for quality management in company processes.